Update: Winners of the City of Light ARCs are Michelle Ruelland and Cornellia Toste–congrats ladies! 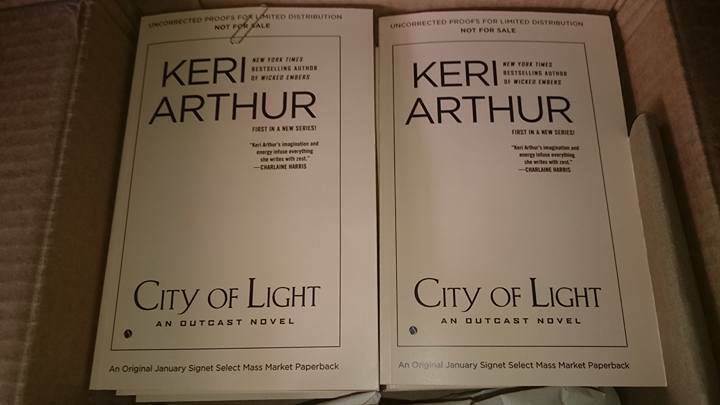 I got a bunch of City of Light ARCs this week, so I’m going to give a couple away every month in the lead up to its release in January. Two of these pretties are now up for grabs–all you have to do is send an email to kez @ keriarthur.com (no spaces, real dot, obviously) and put CoL ARC giveaway in the subject line. I’m off to the Conflux Conference in Canberra this weekend, so I’ll draw a winner when I get back on Tuesday. Good luck!